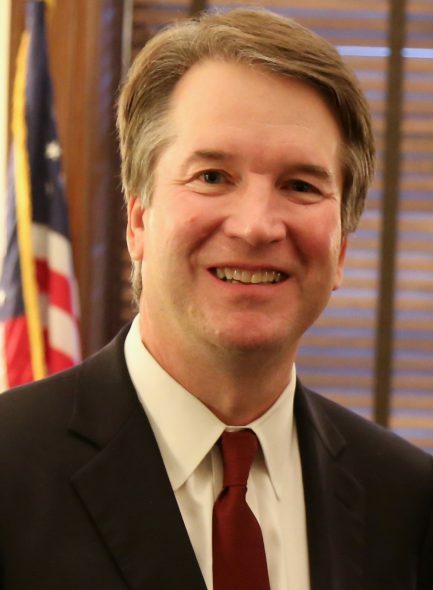 Brett Kavanaugh. Photo is in the Public Domain. Then the Washington D.C.-based Republican State Leadership Committee (RSLC) decided to get involved and as a memo it recently released noted, its poll found Hagedorn was trailing by eight points: 42 percent to 34 percent. “Through the polling we identified that Judge Hagedorn’s biggest challenge was that he was not winning among Republicans (+50%) as much as his opponent was winning among Democrats (+71%),” the memo notes. But equalizing the partisan intensity would make this a two point race, the group estimated. To do this the group created ads that tied “Judge Hagedorn to other popular conservative judges like Brett Kavanaugh, Neil Gorsuch, and Antonin Scalia.” The ads suggested that liberals were trying to do to Hagedorn what was done to Kavanaugh, who faced claims of sexual abuse before narrowly winning the approval of the U.S. Senate. I guess the Republican were able to mobilize the blacked-out-on-beer bloc in record numbers, people who normally don’t vote because they’re … blacked out on beer.